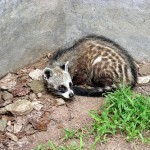 The African Palm Civet is also commonly referred to as the two spotted palm civet. It is a small creature that resembles a cat with shortened legs a long body, and small ears. 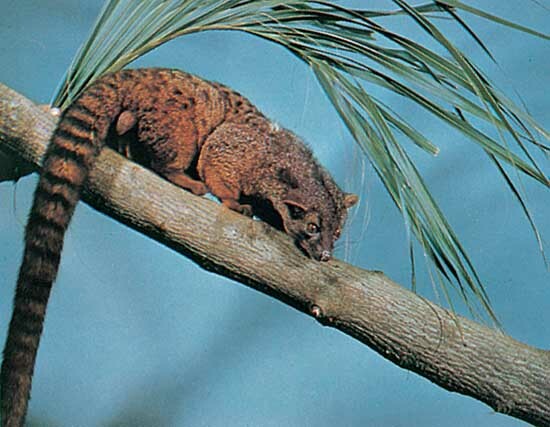 The adult African Palm Civet has a tail that can be comparable in length to the entirety of the body. 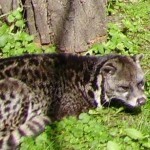 An adult African Palm Civet weighs only about 4 to 5 pounds and it exists most commonly in the Eastern African plains. The most common place for it to find its habitat is among the trees, staying up off the ground makes it less likely that it will become someone’s prey. 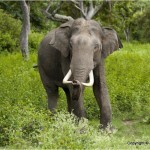 It is an omnivore which means that is eats both plants and animal meat. The meat that it usually eats is that which comes from reptiles, rodents, insects, birds and eggs of other animals. 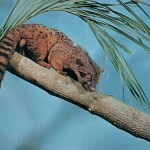 Being a nocturnal creature it has its most activity at night, sleeping on a branch most of the day. 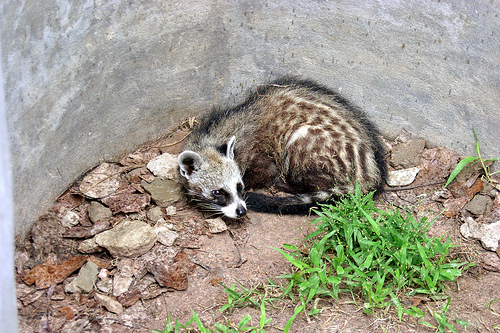 Although it may appear to be just like the other species of Civet, they are thought to have completely different genetic codes. 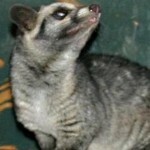 They are technically in their own genus, not related to the other civet that is common to Africa. They normally live for approximately 20 years. 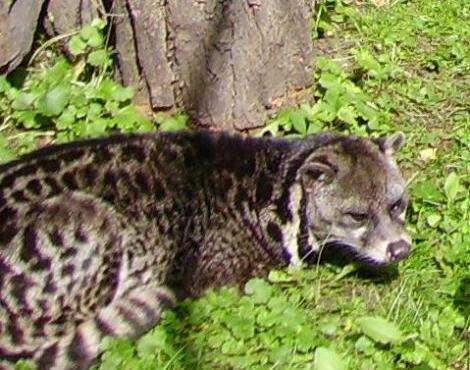 The African Palm Civet appears to look most like a cat. It has claws that are half retractible and six teeth which it uses to gnaw its prey. The tongue of a African Palm Civet is textured and contains prickles which is also a good tool for eating food. Most commonly a small creature they are only about an average of 13 inches long. 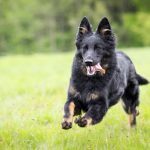 They have fur that is brown and spotted They have amazing abilities to be able to hear and vision that is quite keen, although they are very solitary and tend to live alone, away from other creatures like themselves. Besides being the natural prey for many other creatures in the sub-Saharan, they are hunted by humans for their unique musk. 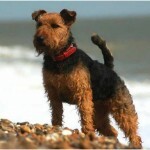 They have the ability to give off a scent that can carry over many miles that they use to mark their territory. It is that scent, given off from the perineal gland that is used in many perfumes produced for human use. Although many synthetic equivalents have been made there are still some perfume makers who use it in their formulas. They mate during the hot summer months which tend to be moist and humid. The summer months between August and January are typically when they reproduce. The female of the species is responsible for building the nest and will be the major protector of her young once it arrives. Finding the old hollowed out hole of another animal is typically the start of her nest. When the young are born, they are typically more mature than other species, being able to live on their own outside the mother. 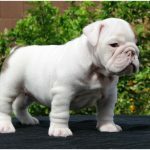 Most will already have the ability to crawl and will make their way outside of the nest in a very short period of time. For most, they will only stay with their mother for two months before finding their own dwelling. 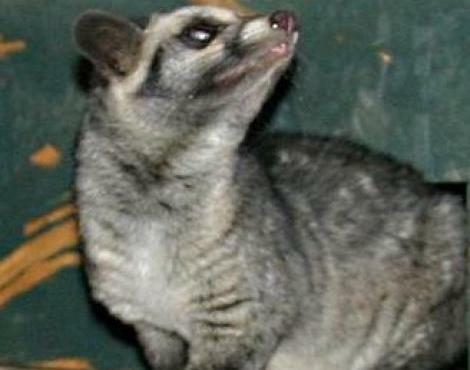 A typical African Palm Civet will only have one to four young at a time, but can have as many as four liters in a one year time period.